About 20 years ago, after finishing university degrees in both Science and Social Work, I became a practicing social worker. I had high-stress jobs in residential treatment centres and homeless shelters and I really needed to start taking better care of myself. I decided that my life needed to become more health-focused. As part of my new self-care routine, I started running and reading about nutrition. The first book I read was called Healthy for Life by Harvey and Marilyn Diamond, and that was the start of my whole food diet. I was a little confused about what I was reading because it was teaching people to eat real food. There was no discussion about food restriction or calorie counting. Imagine my surprise! It explained the importance of not letting yourself get too hungry, and the importance of eating healthy fats. It was the first time I had seen the scientifically based nutrition message to eat real food! While most people around me were counting points and watching the calorie burn on their exercise equipment, I got a blender and started making fruit and veggie smoothies. I made breakfast a priority and I started eating instead of restricting. I focused on eating small amounts of fat and protein at every meal. I couldn’t believe that I was being encouraged to eat fat – that dreaded substance that the diet industry tell us that we should stay away from at all costs! I started to talk with people about how I was feeling. I was so excited to share this information! I started to share this message with both my clients and co-workers. This was also the start of me experimenting with the food and mood connection. Even with degrees in Psychology, Biology and Social Work, I had not learned the science behind the food and mood connection and I wanted to learn more. I continued to read nutrition material, but there was so much contradiction in the material that I eventually had more questions than answers. It felt like I was in nutrition no man’s land. What nutrition plan was best for me? Should I be a vegetarian? How was I going to have enough energy to run? How was I going to keep my blood sugar balanced? After a very successful career as a social worker, I made the decision that I had to learn more formal nutrition information and I returned to school to study holistic nutrition. When I told my co-workers that I was going back to school, no one was surprised to hear that I was going to study nutrition. It just seemed like the next logical step. Studying holistic nutrition was so exciting. Finally, I was learning about how food impacts our physical and mental health on a cellular level. Once I started to learn how nutrition plays a role in our mental health, I was hooked. I finally found the perfect knowledge combination that I had been looking for! As a social worker, I was always talking about the physical and mental health connection, but what I was learning was blowing my mind! What do you mean you can impact mental health and mood in a very specific way with nutrition? Why hadn’t someone told me that before? Why are counsellors and social workers not talking about this with their clients? I was on a roll! When it came time to make the decision about the topic for my masters thesis, I knew that I wanted to study the nutrition and mental health connection in a deeper way, so that’s exactly what I did. Then I decided to take the plunge and start my private holistic counselling practice! Now, my job is to show people how to use nutrition and lifestyle changes to live their healthiest and happiest lives. I help people identify their physical and mental health goals and create a realistic plan that will support their journey. I truly believe that everyone has what it takes to be successful and feel great about themselves. During 2016, I upgraded my Cognitive Behavioural Counselling skills with the Beck Institute. Also that year, I upgraded my Cognitive Behavioural Counselling Skills for Obsessive Compulsive Disorder at the Massachusetts General Hospital Psychiatry Academy. In February of 2017, I started my Self-Reg certification process at the Merhet Center in Ontario. This was an eight-month training process that provided me with the Level 1 Self–Reg Certification. Currently, I am only one of two people to have this certification in Newfoundland and Labrador. My mission is to help people learn more about how they can use food functionally to help improve both their physical and mental health and change their lives. Everyone deserves to be healthy - including you! The rest of your life’s enjoyments are related to your health. I truly believe that with the right support and planning, everyone can be successful and reach their health goals. Each individual just needs a nutrition plan that is tailored for them and their particular life situation; that includes their biology, psychology, and the realities of their life. The programs that I have created over the last several years support real, sustainable change for my clients. On top of doing that, I know what it takes to weave healthy living into a busy life and with the right support I know that everyone can do the same. Most of us know that we need to eat healthy, exercise and practice managing our moods and mental health, but maintaining it for the long term is where we run into trouble. I am a woman with work, family, and social expectations. I do my own shopping and cooking, and I find ways to fit exercise into my life. After 20 years of doing this successfully, I am beyond thrilled to have this platform to share this knowledge with my clients, and truly help the world become a healthier and happier place – one person at a time. I have two amazing little nieces. I was a competitive gymnast for most of my childhood and adolescence. I am a registered Social Worker. I am a graduate of Memorial University in Newfoundland and Labrador. I lived in Nova Scotia for several years. I love that province. I come from a large family of very powerful strong-willed women. I learned how to swim as an adult. I love that exercise. I have 2 great brothers — one older and one younger. I have a stepdaughter who teaches me how to stay trendy. I love to eat good food and cooking is one of my favourite pastimes. My mother is a great cook and she taught me from a very early age – if you are hungry, get something to eat. I have a vegetable garden and a greenhouse. In the summer, I grow my salad greens in pots on my patio. I have a Bachelor of Science in Psychology and Biology. I am in love with my Vitamix. It excites me to keep trying new vegetable and fruit smoothies. I have a Masters in Holistic Nutrition. I came from a family that ate together and I am very grateful for that. I used to be a runner. I might run again, but for now yoga, walking and swimming are my things. I am one of only 2 Shanker Certificated Self-Reg practitioners in Newfoundland & Labrador. I believe that yoga can transform lives. I live in a small town in Newfoundland and Labrador called Portugal Cove-St. Philips with my super supportive man, stepdaughter and dog. 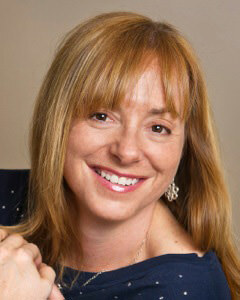 Laurie is a Registered Social Worker and Holistic Naturopathic Therapist. She holds a Science Degree in Psychology and Biology from Acadia University in NS, a Social Work Degree from Memorial University in NL, and a Masters in Holistic Nutrition from the Edison Institute of Nutrition in Ontario. She is a Shanker Certified Self-Reg™practitioner. Her private practice focuses on individuals and families who live with mental health concerns. Her main counselling areas of focus are anxiety, developmental trauma recovery, depression, ADD, ADHD and autism. She also works with groups and corporations to design and deliver holistic wellness programs to optimize mental and physical health. Her programs and interventions are Cognitive Behavioural and Self-Reg therapy based. Her private practice currently offers a wide range of online learning opportunities related to Restorative Self- Care, Nutrition and Mental Health Recovery, and family interventions for children struggling with emotional regulation. With a diverse background in clinical social work, advanced holistic nutrition, Self-Reg™, and physical fitness; Laurie's hybrid of expertise is very unique. With a background that includes over 20 years in social work and a Masters degree in Holistic Nutrition, she is well-equipped to educate and shift perspectives. Laurie is a firm believer in using holistic approaches to help people live better with both physical and mental health concerns. Her personal and professional philosophy is that our mental health management should go way beyond just taking a pill.